During the height of the opioid epidemic, over a period of less than two years, doctors accepted nearly 435,000 payments from Big Pharma, according to a new study that found an association between the payments and higher opioid deaths. The study, published in the JAMA open network, reviewed Big Pharma payments that were made to doctors between August 2013 and December 2015, totaling $39.7 million. The payments may have been relatively small in some cases, as they didn’t include research payments. Instead, the estimated 67,500 doctors who received the money were getting treated to free meals, travel costs, speaking fees, and consulting fees. But those marketing efforts may have still had a damaging effect on public health. 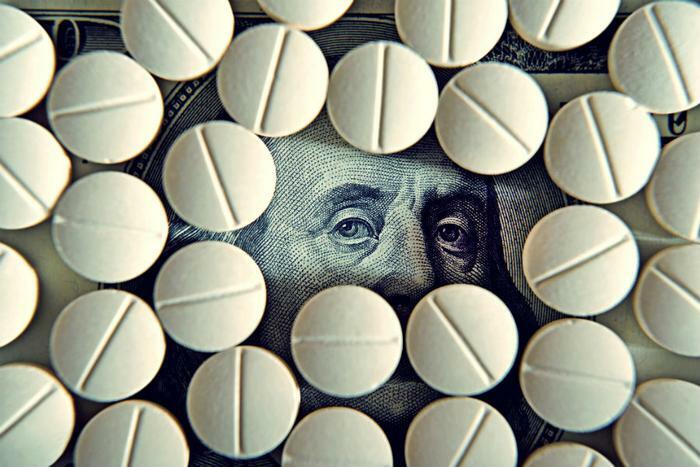 When adjusting for “socio-demographic factors,” the researchers found that every additional marketing dollar was associated with an increase in opioid-related deaths. In one county of 100,000 people, three additional payments made to doctors over the study period correlated with 18 percent more opioid-related deaths, the study says. “Amid a national opioid overdose crisis, reexamining the influence of the pharmaceutical industry may be warranted,” the authors conclude. The study cautions that confirming a definitive link between pharmaceutical payments and opioid deaths still requires more research. But numerous lawsuits and investigative reports have documented how Purdue Pharmaceuticals aggressively marketed opioids to doctors shortly before the opioid epidemic hit the United States. “I don't think they initially really recognized it was causing addiction, but over time they certainly knew it,” Dr. Marvin Seppala, the chief medical officer of the Hazelden-Betty Ford center, told ConsumerAffairs last year, speaking about the efforts that the industry made in marketing opioid drugs to doctors.